University of Nebraska Press, 9780803215887, 404pp. The departed men in her life still have plenty to say to Corey. Her father, a legendary rodeo cowboy who punctuated his lifelong pronouncements with a bullet to his head, may be the loudest. But in this story of Montana—a story in which the old West meets the new and tradition has its way with just about everyone—it is Corey’s voice we listen to. In this tour-de-force of voices big and small, sure and faltering, hers comes across resonant and clear, directing us to the heart of the matter. 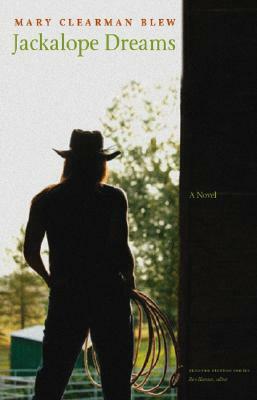 Played out against the mythology of the Old West—a powerful amalgam of ranching history, Marlboro Men, and train robbery reenactments—the story of the newly orphaned, spinsterish Corey is a sometimes comical, sometimes poignant tale of coming-of-age a little late. As she tries to recapture an old dream of becoming a painter—of preserving some modicum of true art amid the virtual reality of modern Montana—Corey finds herself figuring in other dramas as well, other, younger lives already at least as lost as her own. Mary Clearman Blew is the author of the acclaimed essay collection All But the Waltz; three books of short stories, including Sister Coyote; and is the editor of When Montana and I Were Young: A Memoir of a Frontier Childhood, available in a Bison Books edition. She is a professor of creative writing at the University of Idaho and twice has received the Pacific Northwest Booksellers Award, once in fiction and once in nonfiction, as well as the Western Literature Association’s Distinguished Achievement Award.